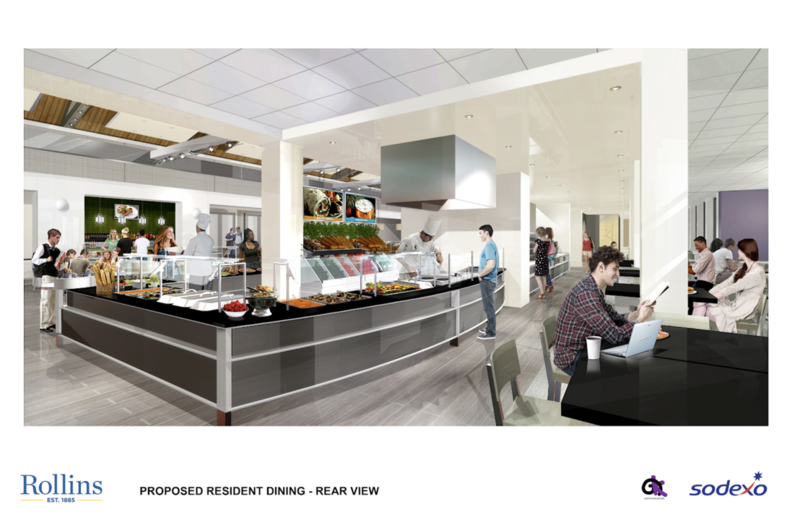 Skillman Dining Hall, which is the main dining hall in the Cornell Campus Center, will undergo a $2.1 million renovation from early May through mid-August of this year. With new serving stations, tables, seating, and flooring, the renovation will completely reshape the center and its functionality. In addition to the current pasta, all-day breakfast, entree, international, and deli stations, there will be a vegan station added where students will be able to access a guaranteed vegan option at each meal. Other vegetarian and gluten-free options will also be provided. Additionally, students can have their own salad made at a new salad toss station. “A key eye-catcher will be the new brick oven in the center of Skillman, where students can have a versatility of things cooked right in front of them, like pizza, casseroles, rotisseries, and more,” said Cabanilla. To avoid the morning and afternoon rushes where students are huddled behind one another in line, “there will be two check-in stations at the entrance of Skillman Dining Hall where students can swipe into [the] dining hall, in order to avoid a long line,” said Bill Short, associate vice president for finance & assistant treasurer. Although the layout of the Cornell Campus Center is changing for the next semester, the dining plan will not be changed. The current system of meal swipes and dining dollars will continue. “This renovation will create a better dining experience for the students and allow for them to meet with one another in an environment that they really enjoy. SGA [Student Government Association] also played a role in influencing the choices and layout for the new renovation,” said Cabanilla. The purpose of this renovation is to maximize space and dining options. The proposed plan is to increase seating capacity by more than 100 seats. The seating options will include the tables that are already in the Skillman Dining Hall, in addition to new booths, counters, and more intimate tables that students can choose from. 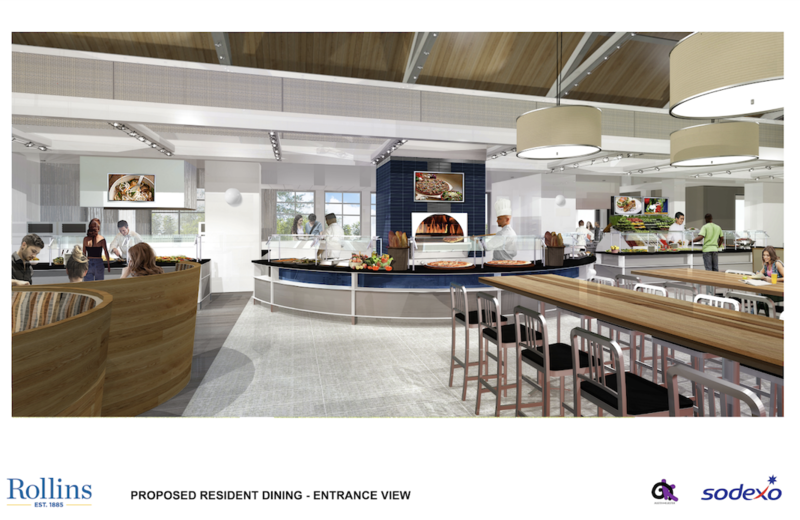 As shown in the proposed plans for the Skillman Dining Hall, there will be multiple stations spread throughout the hall where students can access a wide variety of food stations, unlike the current layout where all of the dining options are congregated and served in the left area of the Skillman Dining Hall. Finally, unlike the current pile of dishes dropped off at a counter in the Skillman Dining Hall, there will now be a dish drop area where students can place their dirty dishes on a conveyor belt. 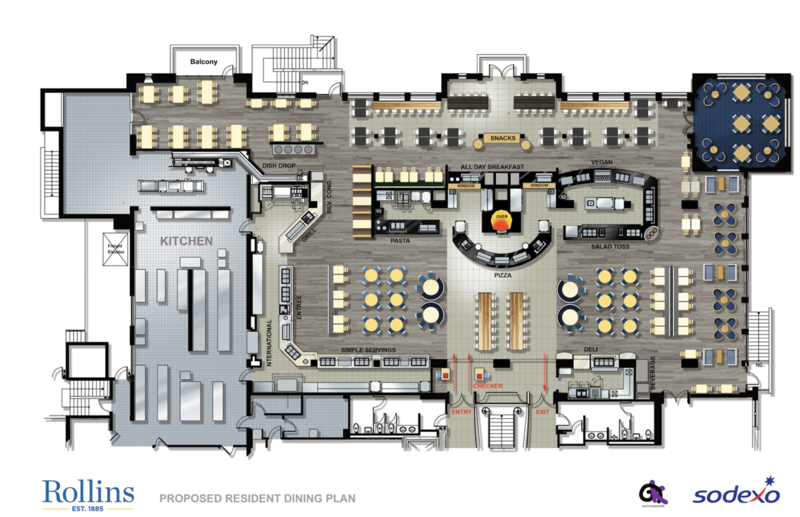 This design shows the layout for the renovation of the Cornell Campus Center detailing where the main kitchen, food stations, and seating will be placed. A new technological feature will also be included in the renovation called MyFitnessPal, which is a smartphone app that will be integrated into the dining experience at Rollins. Starting in mid- to late-February, a barcode will be placed next to each dining option in the Skillman Dining Hall. Students can take a photo of the barcode that will be sent to the MyFitnessPal app. These barcodes will allow students to access all of the nutritional information, such as the ingredients and the recipe, associated with each dining option. This information will also feature a breakdown of calories, including carbohydrates, fats, and proteins to allow for students to truly understand what they are consuming.